Since joining Marsello, DREEM Nutrition have seen a 132% increase in revenue through loyalty program customers. DREEM Nutrition's goal is to help athletes reach their peak performance potential. Their team is highly motivated – they focus on research, innovation and quality, and they ensure the versatility of all their products. They dared to DREEM and the result is obvious; their evolution of cannabinoid and vitamin ingredients helps deliver their customers the best results and keep them a stride ahead of the rest. 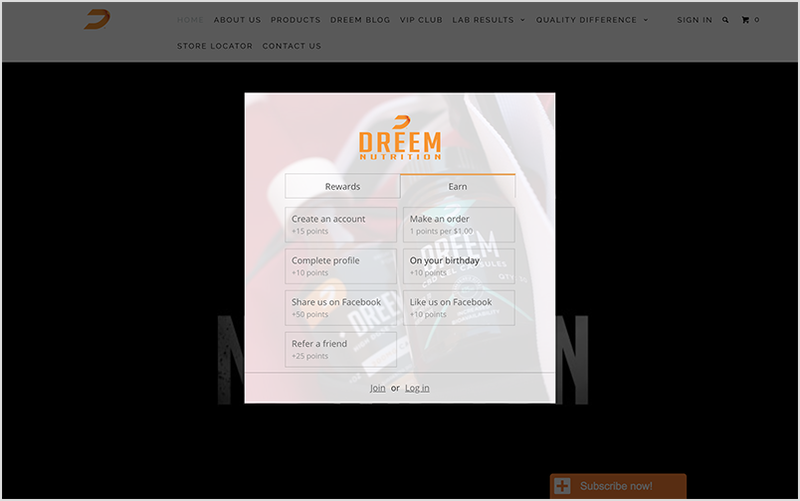 DREEM Nutrition used Marsello to create their VIP CLUB, aimed at encouraging repeat sales and getting their members to help spread the word about their store. They generously reward points for sharing their store on Facebook and for successful friend referrals, helping members to unlock rewards faster while promoting the ‘DREEM’. 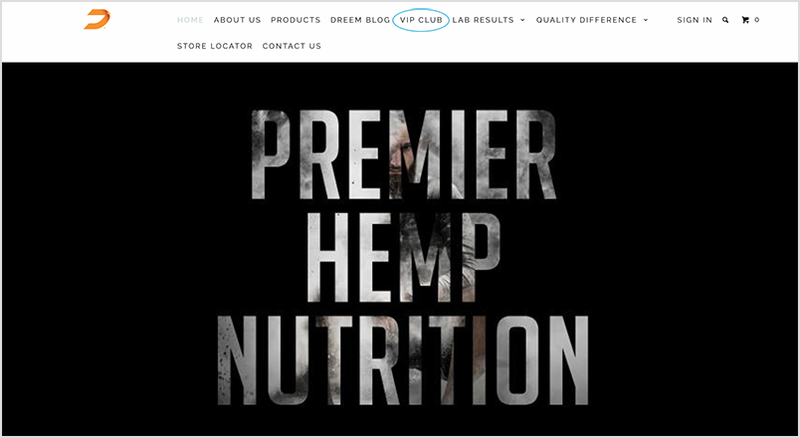 DREEM Nutrition have made sure their VIP Club is easily accessible to all shoppers. Their navigation bar has an a link to their branded widget making it really easy for their customers to sign up and start earning immediately. They have also ensured their VIP Club is always visible as customers are browsing the different pages of their online store. DREEM Nutrition have matched their widget’s theme color to their logo and cleverly showcased their products on their widget background. Not only does their loyalty widget design look great, their customers can see the products that they can use their rewards towards. Encourage more successful friend referrals, where points are earned when friends of VIP Club members make their first purchase. Build member relationships by offering VIP Club members rewards birthday on their birthday. 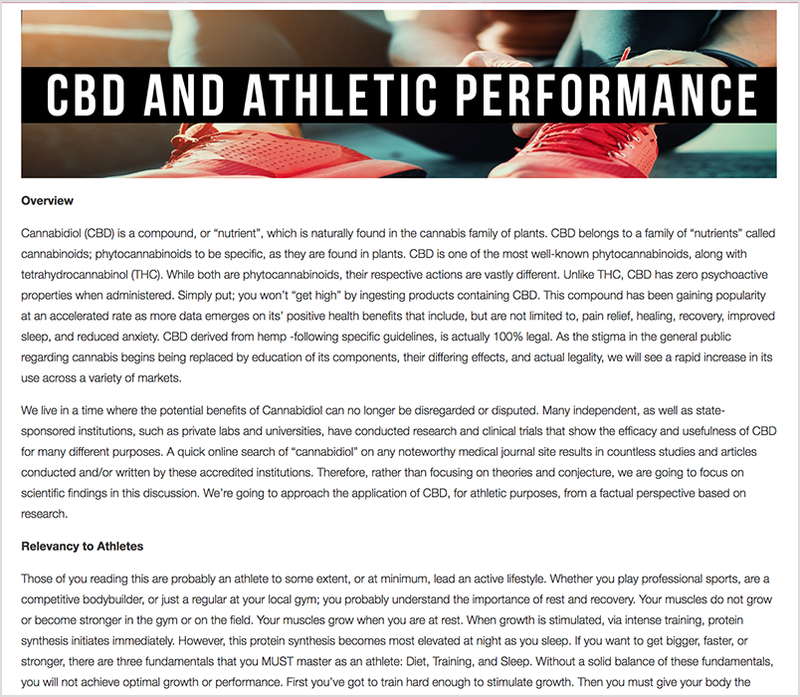 DREEM Nutrition's testimonial with professional athlete Cory DeMeyers provides product credibility and encourages customers who aspire to be like him to try their products. Cory promotes the DREEM brand by speaking about his demanding training schedule and jumps straight into the physical and emotional benefits that he's experienced whilst taking DREEM's products. DREEM Nutrition are focused on quality products that help athletes reach their peak performance potential. They explain the science behind the benefits of cannabinoids and vitamins, as well as providing proof in the form of lab results for the products they offer. Their educational content helps customers understand the strong benefits and why they should start using DREEM's products.